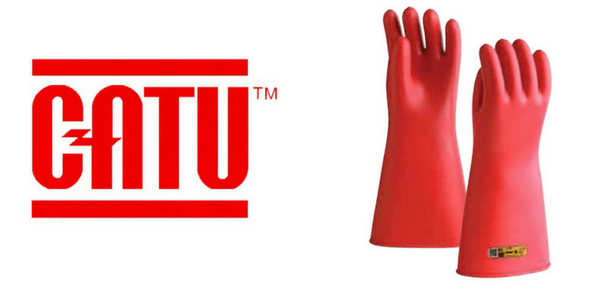 CATU’s Class 1 insulating gloves provide electrical hand protection when working near live voltages up to 7,500V. MV medium voltage gloves have been tested up to 11,250V and are certified for use up to 7,500V according to IEC 60903 and EN 60903 standards. 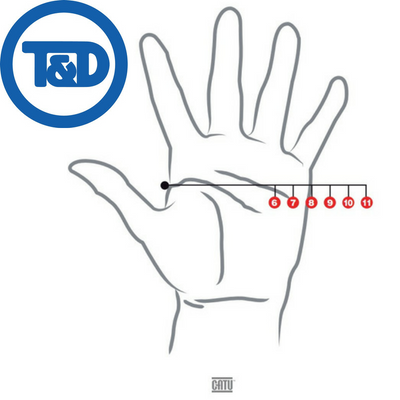 Class 1 gloves are generally replaced twice per year by UK DNO’s i.e. at 6 monthly intervals. When the insulating gloves are removed from the sealed bag in which they are delivered it is recommended as good working practice that the date of opening be written on each glove along the edge of the glove cuff using a ball-point pen or similar. All pairs of insulating gloves should be replaced in pairs. 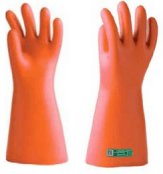 All CATU insulating gloves are individually tested and provided in a sealed plastic bag for use with several sizes available from size 7 to 12. Should you require any technical support to select the correct insulating gloves for LV MV HV power systems including 11kV/33kV please contact us – download the Sizing Guide to ensure a comfortable and correct glove fit. 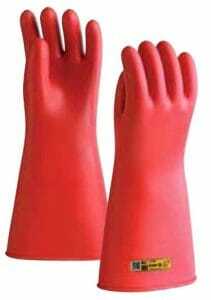 CATU CG-1 insulating gloves manufactured from rubber are for use with silicon leather glove covers and do not provide mechanical protection – these type of electrical gloves are typically used during cable jointing and equipotential bonding. CG-1 gloves are fully compliant with EN 60903 and IEC 60903 and have an RC classification for resistance to acid, oil and o-zone and low temperatures. 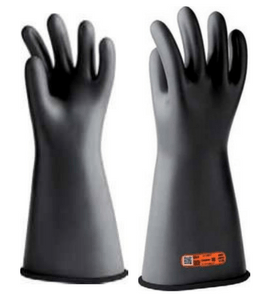 CATU CGA-1 ASTM Class 1 insulating gloves are fully compliant with the stricter ASTM standard (ASTM D120) and are made of a specially treated rubber which to ensure high dielectric characteristics. CATU CGM-1 insulating gloves have higher mechanical properties than the CG range and do not require leather overgloves – this standard covers electrical insulating gloves with additional integrated mechanical protection referred to as “composite gloves”. CGM-1 gloves are fully compliant with EN 60903 and IEC 60903 and have an RC classification for resistance to acid, oil, o-zone and low temperatures. Gloves are also arc flash tested to IEC 61482-1-2 Class 2 and ASTM F2675/F2675M. 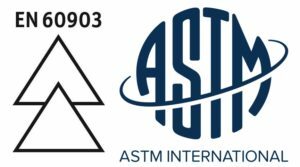 ASTM D120 standard and specification covers manufacturing and testing of rubber insulating gloves for protection of workers from electrical shock – CATU CGA-1 gloves are compliant with this American standard. The following table provides an overview of the Class 1 type of insulating gloves manufactured by CATU Electrical to provide MV Medium Voltage protection up to 7,500V.